June 1, 2012 was not only mine and Greg’s 11 year anniversary, it was the day we got married in the city we have grown to love so much. Let’s start from the beginning. Ok, not the beginning beginning, but a year ago beginning when Greg and I got engaged. I had never been to New York City, and the last time Greg had been there he was a kid and could barely remember the trip. When our friends invited us to their NYC wedding we jumped at the chance to finally visit this city I had been dying to see since I was a little girl. My vision of this city came from one of my favorite movies, Sleepless in Seattle. The part where Annie and Sam officially have their romantic movie moment at the top of the Empire State Building is my favorite part. Little did I know that we were about to have ours in the same exact spot. As we were looking over the city on the warm sunny NYC morning, Greg whipped out the most beautiful ring and popped the question. The moment couldn’t have been more perfect. We reveled in the honeymoon phase, which pretty much consisted of me staring at my ring like a freak. Once we got tired of getting the same question over and over again (can you guess it?!) we decided to pick a date. 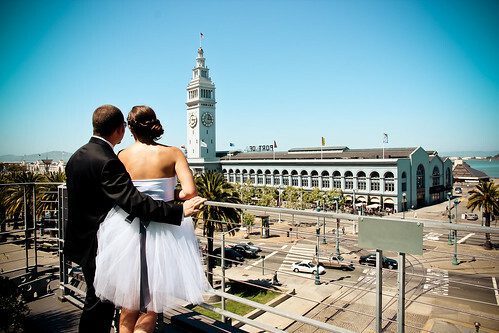 Two things we knew, we wanted to get married on our anniversary and we wanted to get married in San Francisco. What we didn’t know, but soon found out, was that getting married, like the whole big shindig married, was REALLLLLLLLLLY expensive! So we went to plan #2. 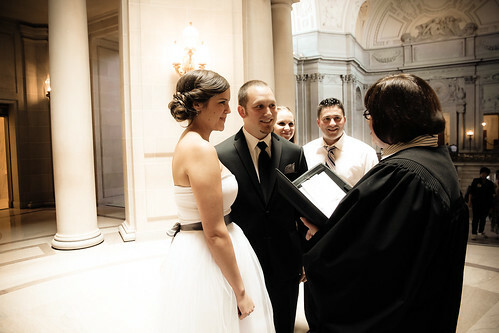 Get married at San Francisco City Hall on our anniversary, just the two of us and two witnesses. Then head to Los Cabos, Mexico for the big(ish) shindig! I highly recommend this. I’ll get more into our Mexico celebration in another post, for now, let me go into our San Francisco wedding. 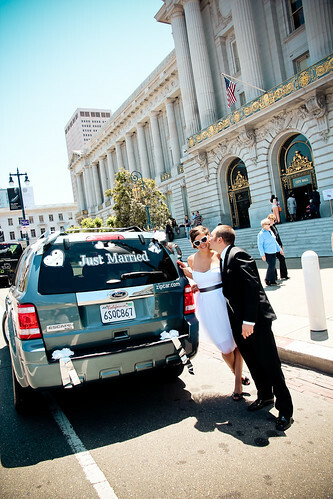 On June 1st, 2012 Greg and I headed to San Francisco City Hall to get married, along with our two best friends as witnesses. City Hall is just breath taking and symbolizes the beautiful city we live in perfectly. We couldn’t have picked a better place to say I Do. We also brought along our favorite photographer to capture this special day. And boy did she capture it in the absolute most amazing way! I met Julie when I first moved to San Francisco 3 years ago when she took pictures of me in my old neighborhood for a project she did called I Live Here SF. I have been in love with her photography ever since. 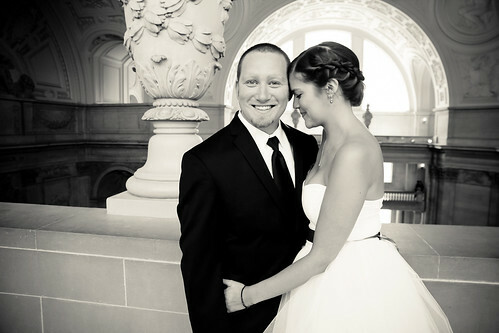 When I asked her if she would photograph our City Hall nuptials and she said yes, I was LITERALLY jumping up and down on my couch. The pictures speak for themselves. Thank you Julie, for helping us capture one of the best days of our lives. Casi, it was an honor and a delight to be with you and Greg on your special day. I’m so happy to see your favorite images here! Thank you so much Julie! You’re the best! I love the one of you and Greg on the streetcar (ok… I love ALL OF THEM, but that one really made me smile). Congratulations Casi & Greg!!! ETA And I love the one of you in the heart-shaped sunglasses right outside the City Hall entrance. So many great photos – you both look amazing. Awww thanks Sarah! It was such a great day! I’m so glad we had Julie with us to capture all the great moments.